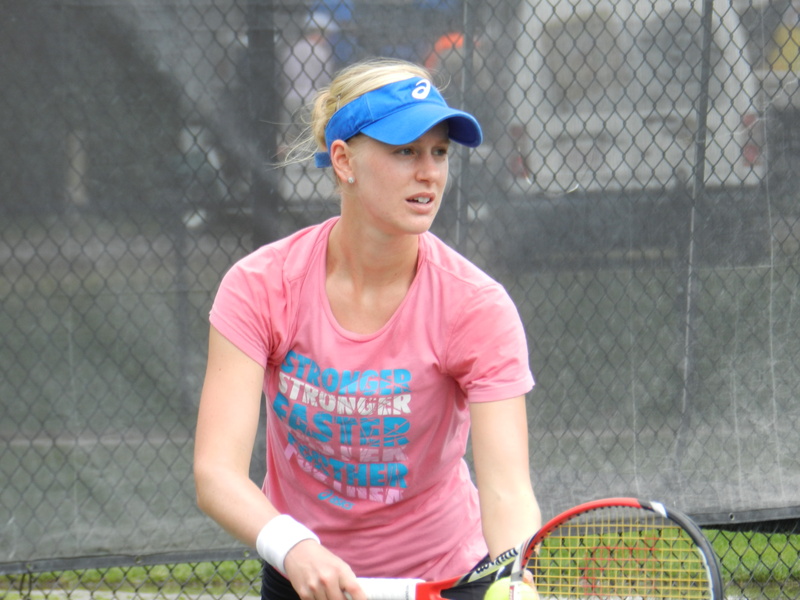 Alison Riske joined us on Monday after her win at Volvo Car Open to discuss her match against US Open Junior champion Kayla Day, the progression of her career, and her engagement to Stephen Amritraj. And she was kind enough to do all of this in harsh conditions with a rain-soaked malfunctioning microphone. It’s really easy to be complimentary towards Kayla Day. I think she has a really bright future ahead, that’s for sure. She’s an awesome player. Obviously, I respect her as a person, too. She’s come on tour with no sort of air about her even though she’s achieved so much even though she’s only 17 years old. I think the sky’s the limit for her and it will be exciting to see what the future holds. Hopefully, I don’t have to play her too many times. It’s definitely been a process. Everyday is a challenge and poses something different. I think the best is yet to come. I hope I can keep achieving new career-high rankings. Hopefully, fingers-crossed, I’ll stay healthy. Yes, it’s definitely exciting… I am engaged and it’s been wonderful. He’s so supportive of my tennis which is what really makes it work. Obviously, tennis is my first love. Tennis has been so good to me, so I would love to be able to give back, somehow, I’m not sure how yet. I see myself still in the sport. I don’t think I could ever have a life without tennis. Judging from this rain right now, I’m not sure if it’s because of the weather. Definitely weather is part of it…and the charm definitely has something to do with it. I feel like you just come here and you relax. Your mind relaxes, your body relaxes and you just want to hang out. I don’t know if that’s conducive to playing a tennis tournament. It’s a great place, it’s a special place. I definitely think I’ll have a place here one day in Charleston. Posted in: Charleston, Family Circle Cup, WTA. 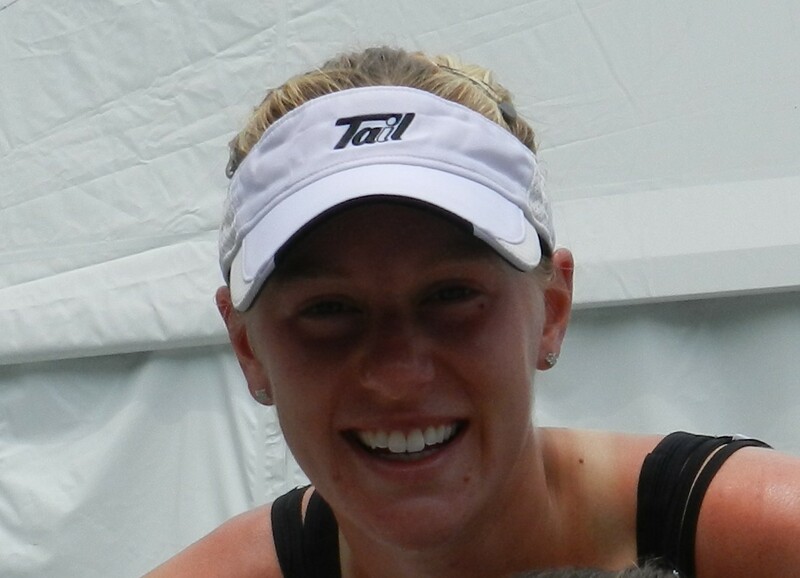 Tagged: 2014, alison riske, charleston, christina mchale, east coast, family circle cup, mid atlantic, new jersey, pittsburgh, qualifying, shelby rogers, South Carolina, tennis, women's, wta. 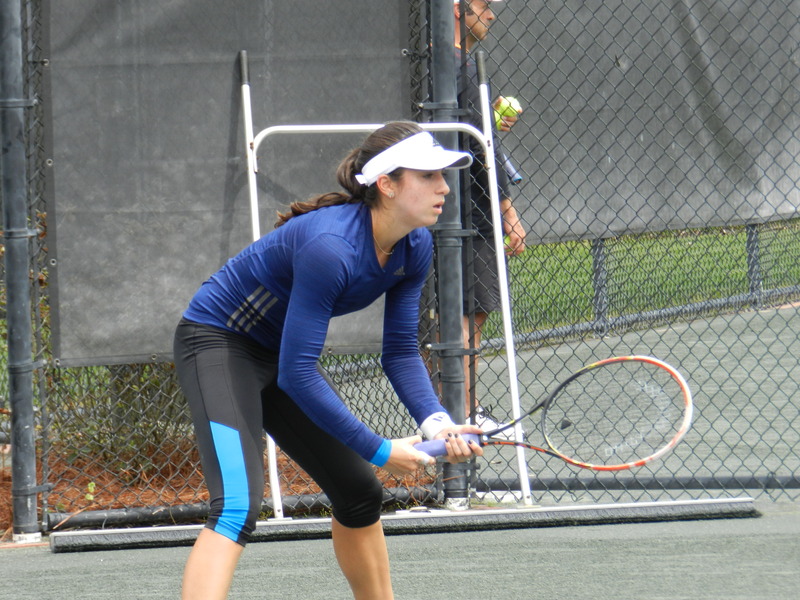 Christina McHale made her first-ever WTA final two months ago in Acapulco. Alison Riske is just off a career high of #45 three weeks ago. Shelby Rogers is at a career-high ranking of #110. These are players on a roll. And they were all at or near the draw ceremony, which was ‘co-hosted’ by Riske and McHale. None of them want to admit to thinking about winning the event. As always, thank you, WTA Players Media School. They all love Family Circle Cup, and it’s an extra special place for Riske and Rogers. They wore matching pink while practicing together earlier today. McHale will face a qualifier in the first round, while Alison Riske will take on Chanelle Scheepers and Shelby Rogers will hope to upset 10 seed Daniela Hantuchova.